The state Board of Public Works voted Wednesday to cut more than $60 million from the state’s $43 billion budget. However, the body did not touch $6 million slated for local school systems that was initially on the chopping block. The state Department of Health will see the largest cut of any agency, at just over $22 million. State Budget Secretary David Brinkley said the largest portion of that, about $10 million, is the result of shorter hospital visits on average. The University System of Maryland loses $8 million, including money for 30 vacant positions that won’t be filled. Brinkley said Morgan State University, St. Mary’s College of Maryland and Baltimore City Community College will see cuts of a similar proportion relative to those schools’ budgets. The Department of Public Safety will lose $8 million, the Department of Human Services loses $7 million, and the Department of Juvenile Services loses $4.5 million. Several other executive branch departments will also see smaller cuts. But $6 million intended to bolster public schools in less-wealthy jurisdictions survived the cuts. The money, including $1 million for Baltimore City, was initially proposed as part of the cutbacks last week. "It’d been devastating to the schools since they’ve already committed the money, so I think the board acted very wisely in restoring their money," said Senate President Mike Miller. The Maryland State Education Association teachers union also praised that decision. Gov. Larry Hogan said the approved cuts are necessary in part because of laws that require the state to spend more year after year. 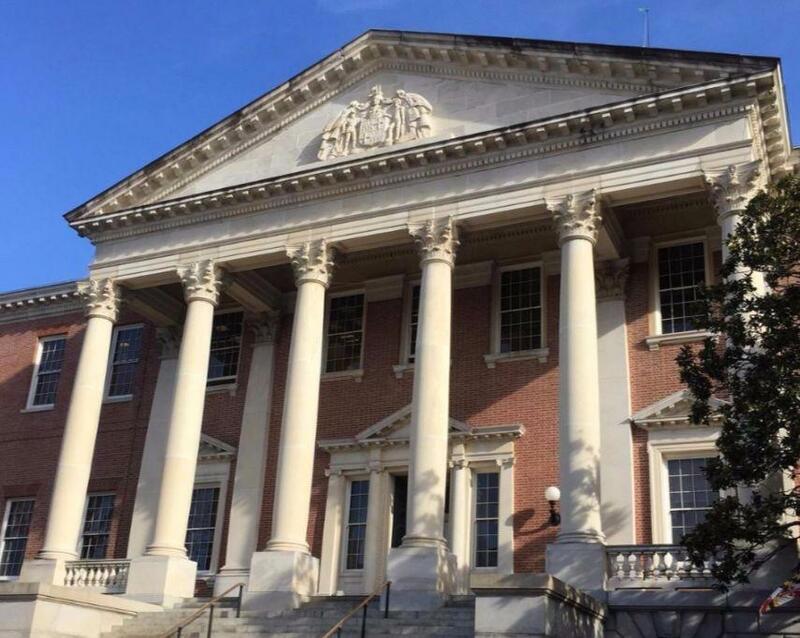 "Due to continued unsustainable spending, automatic spending increases and huge debt service payments that will soon exceed what we spend on school construction, the state is again spending more than it takes in," Hogan said. State budget analysts anticipate a nearly $750-million cash shortfall in fiscal year 2019, which begins July 1, 2018. Revenues are growing steadily at about 3 percent, but spending is increasing faster, Hogan said. It’s not the first time Hogan has criticized the General Assembly for the practice of what he calls "mandated spending." He frequently notes that those required increases in spending account for roughly 83 percent of the state’s budget. 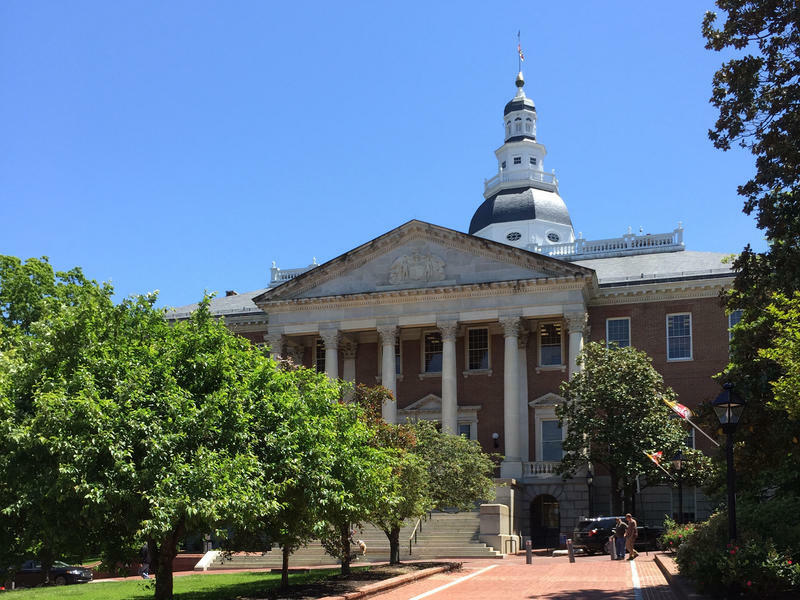 "We’ve repeatedly asked the legislature to work with us in a bipartisan manner to finally adopt a common-sense budgeting process where spending does not automatically increase at a rate that continually outpaces revenue," Hogan said. "We have to talk not at a high level about mandates necessarily, but about the real services and programs for people that are going to be cut unless the wealthiest state in the nation decides to pay for them," Kopp said. House Appropriations Chair Maggie McIntosh said the normal legislative budgeting process allows for adjustments to parts of the budget with spending mandates if money is short. That process begins when the General Assembly returns to Annapolis in January. By contrast, cutting the budget in the Board of Public Works midyear, “really cuts down on the transparency and the public involvement in the budget process,” she said. These cuts are premature, coming before the state actually knows how much tax revenue it will collect at the end of the year, she said. "That shortfall is one that at the end of the year, if our revenues continue to come in as they are, that shortfall will shrink by itself, without us taking any action."